Mathematics lessons aim to make children feel at ease with numbers, excite them about learning mathematics skills, and build their confidence through challenging, level-appropriate games and activities. Lessons focus on building basic skills: number recognition, place value, problem solving, and basic operations (addition, subtraction, multiplication, and division). 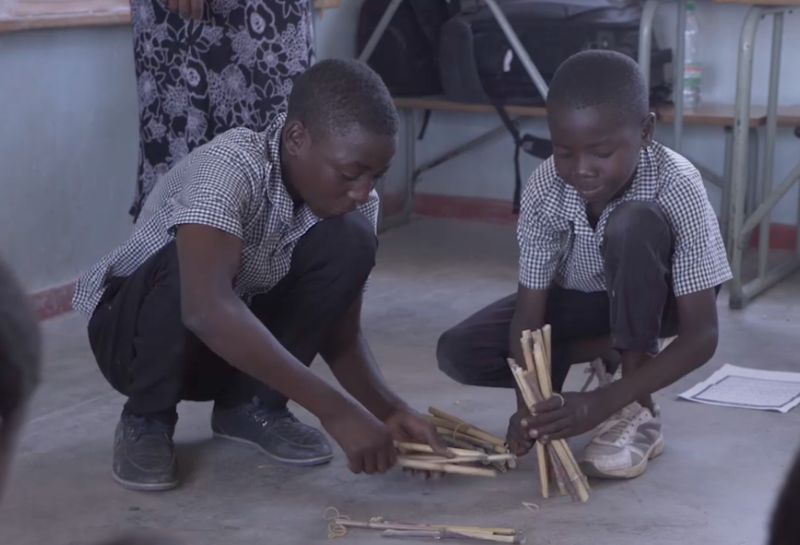 To help develop curiosity and comfort, mathematics classes use tangible, familiar, and easily available objects such as sticks and paper money to lay the basic foundations. Instructors use word problems based on common daily tasks to help children recognise how mathematics is connected to their everyday lives. Once children can sense the value and relevance of mathematics, they usually begin to enjoy solving problems. TaRL mathematics levels differ depending on context. The levels described below are based on the Number Recognition part of the assessment. In contexts where there is large variation at the Number Recognition level, this might be a helpful method of grouping. Children who are not able to recognise single digit numbers are placed in the Beginner Level group. The primary focus for children in this level is number recognition and counting. At all levels, instructors boost children’s confidence by employing tools to help them understand these concepts, praising children at each step, and encouraging them to participate actively. This is especially important at the Beginner Level, when children often find numbers intimidating. Many children already have a basic sense of quantity. 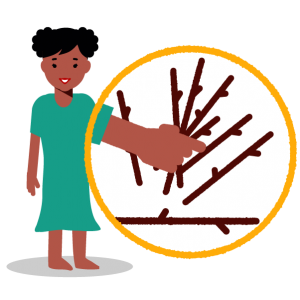 The instructor helps develop their understanding by giving them physical objects which can be counted, such as sticks. Children learn to count them, and quickly start to recognise numbers as they count. Even at this stage, children can begin to understand basic operations such as addition and subtraction, using these physical objects. Counting tangible objects helps children to quickly recognise spoken numbers and develop an intuition for adding and subtracting numbers. TaRL instructors are encouraged to use counting materials familiar to the children. This helps them to begin to count in everyday life and strengthens their skills. In addition, using counting materials that are easily available often means there is little or no cost, and they are easy to replace. Children in Teaching at the Right Level classrooms regularly read numbers on a chart. Instructors introduce the number chart by reading through it in order, from lowest to highest numbers. Once children are familiar with the numbers, instructors ask them to read the chart from right to left, top to bottom, diagonally, and randomly. In this way, learners’ recognition of the written numbers is tested, and not just their ability to count. This activity is reinforced with number recognition games, and regular discussions about how numbers are relevant to their everyday lives. Children also begin to practice writing numbers, at first copying them from the chart. Through regular practice, children quickly progress to recognising single digit numbers, moving to Level 1. When children recognise single-digit numbers, but struggle to read two-digit numbers, they often need help understanding the concept of place value. (This is the idea that a digit’s size depends on its position in the number. In a base-ten number system, we have different positions for “units”; “tens”; “hundreds,” etc.) A primary focus for this group of children is to teach and reinforce an understanding of place value. Instructors also continue to teach basic operations, giving children appropriately challenging word problems and sums to solve. 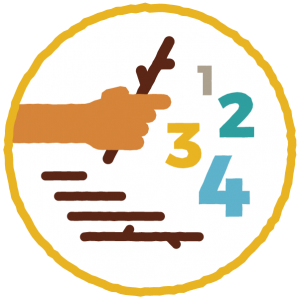 Instructors continue to introduce tools to help children to organize their mathematical thinking, such as bundles and sticks, as well as a number frame with columns for tens and units. This helps children better understand place value, and to write numbers carefully when carrying out operations. Understanding that a digit’s value depends on its place in a number is a foundational skill. Without this skill, children are not able to read or understand larger numbers, or to carry out operations using larger numbers. In TaRL classrooms, instructors tie sticks in bundles of 10. In the video below, children are introduced to the bundle and stick method. and notice the pattern that the spoken numbers follow. When this is combined with representing the bundles and sticks in written form in a number frame, children learn that a ‘1’ in the bundles column means one bundle of ten sticks. In this way, they begin to understand place value. Instructors use easily available materials like sticks (the specific material used depends on context: for example, in parts of India, straws are cheap and easily available) to teach place value. String or rubber bands are used to tie groups of ten sticks into bundles. 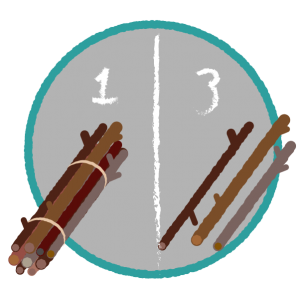 This helps children to understand the concepts of tens and units: by seeing 10 different sticks combined to form one bundle, they see that a ‘1’ in the ‘10s’ place represents a 10. Children are not intimidated by bundles and sticks, because they are familiar with these simple materials. In addition, they can find sticks on the ground and practise TaRL activities outside of the classroom. Before instructors give children practice with basic operations, they introduce the concept of addition, subtraction, multiplication, and division, and make sure children understand why we use each operation. The video below illustrates how instructors introduce multiplication and division, using tangible objects that are familiar to the children. methodology, when practicing operations, children do not just copy the instructor’s process, but explain the process in their own words, reinforcing their understanding of the operation. This is especially important in the whole class setting when other children learn from their classmates’ demonstrations. During basic operations activities, instructors often divide the class up into small groups. To do this, they consider the child’s basic operations level and, where possible, assign children with similar levels to the same group. The instructor then gives appropriate sums to each group. Instructors give the class word problems to solve either as a whole class, in small groups, or individually. Children apply their knowledge of basic operations to specific problems. The word problems involve everyday tasks, such as dividing chalk or adding up money, to spark children’s interest, and encourage them to extend their mathematical thinking beyond the classroom. Children are prompted to identify information given in a problem, to understand what the question requires, and determine the mathematical operation needed to solve the problem. They next apply the process they have learned to solve the problem. This set of skills is fundamental to learning and applying mathematics. The ability to recognise two-digit and larger numbers indicates a stronger grasp of the concept of place value. Children at Level 2 and above receive regular practice with large numbers to reinforce their understanding of place value and learn how to solve operations using larger numbers. 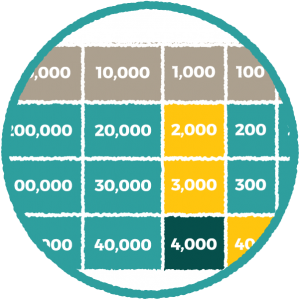 For these groups, instructors use an expansion chart to extend children’s place value knowledge to include hundreds, thousands, and ten thousands. They also use play money to reinforce place value, with 1, 10, 100 and 1000 denomination notes. Instructors show children how these denominations combine to form numbers and emphasise this idea by practicing addition and subtraction sums using play money. Similar to number charts, expansion charts are made by instructors and used daily in higher level classes, helping children to become familiar with higher-digit numbers. Play money is simple money modelled on familiar currency. The money is printed, cut, and given to instructors at training. The notes are used and reused. Money is usually familiar to children and they are able to understand sums involving giving or receiving money, for example. In this video, the instructor introduces paper currency notes, explaining how the denominations combine to form a number, and demonstrates the process of addition using paper notes. For solving more advanced multiplication and division sums, Pratham recommends that children learn multiplication tables, at least up to 10. 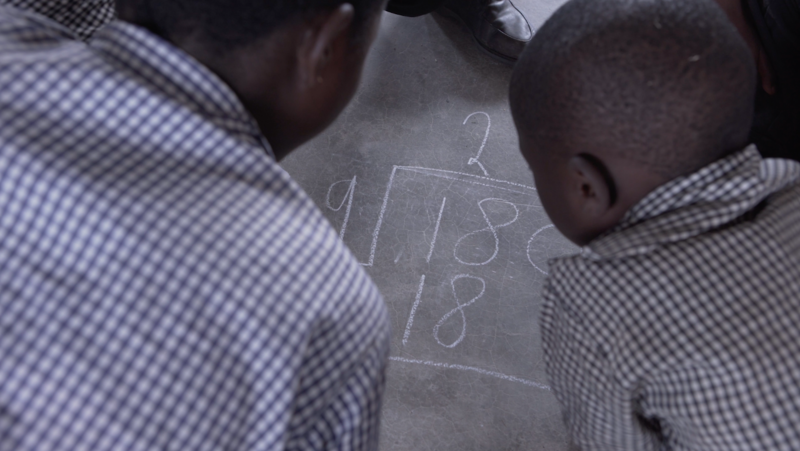 In TaRL classrooms, this is done in the form of multiplication chart activities, games, and competitions. 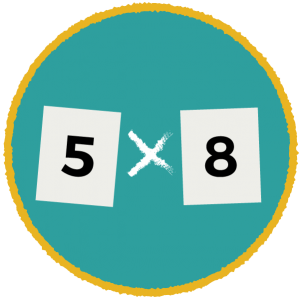 To test multiplication, number cards written on recycled cardboard can be used. In one game, children flip over 2 randomly chosen cards and quickly say the product of the 2. Number cards might have a number of additional uses, helping children with mental mathematics. Children are encouraged to practise multiplication tables by first using a multiplication chart, and then testing their knowledge through games or competitions. 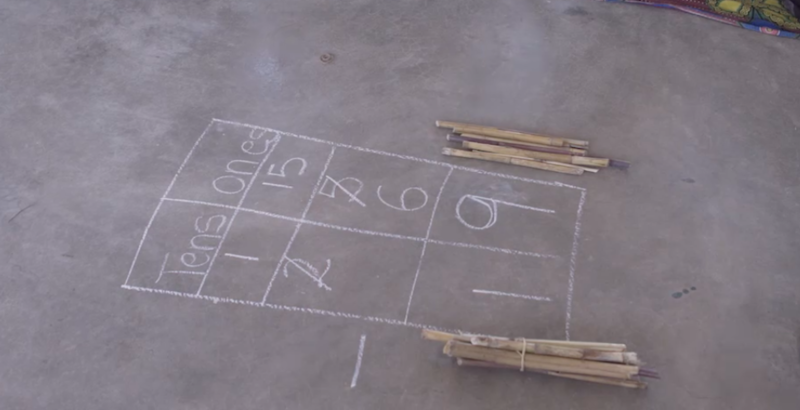 In the video above, the instructor uses number cards which he made, and children work together in small groups to practice multiplication tables. Instructors choose different methods to encourage children to memorise the multiplication tables. Children practise basic operations at all levels. In order to develop a firm understanding of place value, and to organise sums, children use a number frame. When solving operations using larger numbers, children leave behind the words “bundles” and “sticks” and swiftly move to using “tens”, “units/ones,” and eventually “hundreds” and “thousands”. sums. Instructors teach the process of addition and subtraction using paper currency and a number frame. In the video below, the instructor uses play money to demonstrate the process of addition with larger numbers. Similarly, instructors demonstrate the process of multiplication using a number frame, going step-by-step, as in the video below. Instructors move away from using tangible objects when teaching long division, to a more abstract tool – a division frame. Instructors demonstrate the process of each operation in a whole-group setting, and then give children time to work on sums together in their small groups. Once children are able to solve addition, subtraction, multiplication and long division sums with larger numbers, instructors give them regular practice solving a large number of sums. Instructors give children individual attention where necessary, explaining the process, and making sure children understand. Using number frames and following the process they learn in a whole-group setting, children practise solving more complex word problems in small groups. They read the problem, identify the information given, determine what the question is requesting, and which operation is needed to solve the problem. To solidify their skills, children are given word problems and sums to solve individually. In the video above, the instructor demonstrates the process of reading and solving a word problem, and children learn how to solve multiplication problems using bigger numbers.